Ramboll’s work at Europe’s largest urban wetland nature reserve was honoured at last week’s Brownfield Briefing awards. Last week saw Ramboll collect another award for its Walthamstow Wetlands project at the annual Brownfield Briefing Awards. The event, running for the 14th consecutive year recognises best practice in the remediation sector by UK-based companies. At the Awards gala dinner, held in London, we picked up the award for Best Biodiversity Enhancement (including SuDS). The project was also shortlisted under the category of Best Re-use of Materials on a Project, and Ramboll’s Siobhan McGeever was shortlisted for best young brownfield professional. 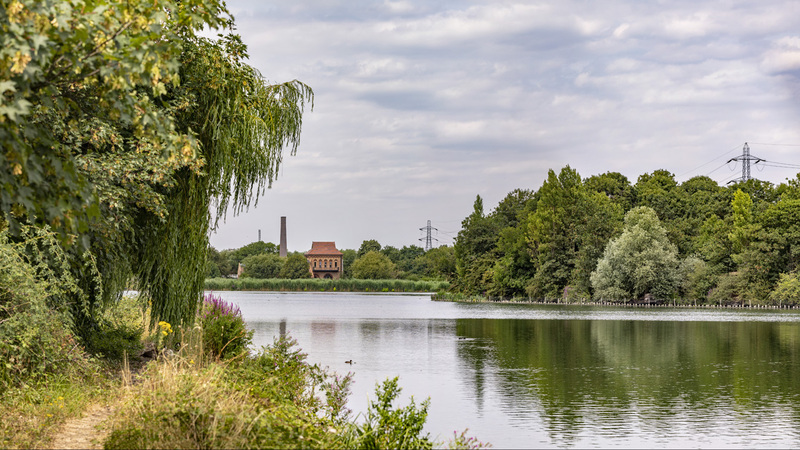 Walthamstow Wetlands is a 520-acre complex of ten operational reservoirs in north-east London, supplying around 3.5 million households in and around the capital with water. In 2017 the reserve officially opened to the public, bringing much greater visibility to the 150-year old site, with improved visitor facilities and free entry to the wider public in an area of London that has historically been deprived and underdeveloped. A collaborative project between Ramboll UK and Ramboll Environment and Health, we provided environmental, hydrological, engineering and geotechnical services for the development of the reserve’s new reed beds. We prepared a hydrological and geotechnical design together with a dredging specification to make way for the new wetland area whilst allowing for the continuous supply of London’s potable water. This win follows recognition at the Ground Engineering Awards in June, where we picked up the prize for Sustainability Project of the Year. It has also been shortlisted for the upcoming British Construction Industry (BCI) Awards under the Carbon Reduction Initiative of the Year category. The BCI Awards also sees Ramboll shortlisted for its work on Dalston Works (Carbon Reduction Initiative of the Year), Milford on Sea Beach Hut Replacement Scheme (Climate Resilience Project of the Year), Chapel Street bridge upgrade, Salford and Highbury Corner bridge replacement (Infrastructure Maintenance Project of the Year), and Mersey Gateway, Queensferry Crossing and The Ordsall Chord (Transport Project of the Year).